IMG_PLAY assists with programming resources when your video technologies are integrated into other business systems. For example, integration of players via CMS plugin or custom embed code. Integration of video platform in the organization’s other security and login procedures. For example, sync between archives, video platforms and SoMe channels. There may sometimes be a need to change the technical platform. We have experience moving video files and metadata to and from enterprise platforms and social media platforms. A typical project contains complete data extractions through the API. Customize data to match new data structure and enter the new system. Systems that we have migrated to and from are amongst others: 23Video, Brightcove, Clearleap, Dreambroker, Facebook, FlowPlayer, JWplayer, Kaltura, Ooyala, Qbrick, Ustream, Vimeo & YouTube. 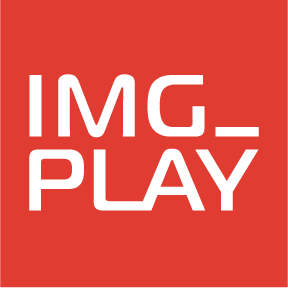 IMG_PLAY can provide total solutions where both the video platform and CMS come together to give the user the best possible experience. Our expertise spans the entire value chain so workflows are thought through from production to publishing. See our cases with examples of video sites and TV apps. Video Players work differently across platforms from desktop to mobile platforms. We control how a player is set up with custom CSS and graphical elements to perform optimally. We can also connect the selected player technology with statistical systems, such as Google Analytics or Conviva, so that you can optimize the player experience based on quantitative and qualitative data.